Employees: 1936, 25 underground & surface. Employees: 1938, 17 underground , 2 surface. Employees: 1945, 42 underground, 9 surface. Employees: 1950, 35 underground,12 surface. Every Saturday morning there is a regular procession up and down Whitecotes Lane Walton Chesterfield of men, women and children wheeling barrows, trucks, prams and all manner of conveyances, their destination is a footrill just off the main road and here they buy coal in quantities and weight according to the carrying capacity of their barrow or pram. They queue up at the footrill and wait their turn to be served by “Old Joe” well known to them all. They come from all over the town but the majority are from the St. Augustine’s estate. Most of them are unemployed or the children of unemployed but there are several who take advantage of the facility to get coal for their greenhouses. Damage of about £60 was caused by a fire, which destroyed a deputy’s wooden cabin at Whitecotes Colliery Chesterfield on Tuesday. The cabin contained oil and parts of machinery and nothing was saved. The blaze was caused by coke falling from a stove and the Chesterfield Fire Brigade under Sergeant Outram were dealing with the outbreak within five minutes of receiving the call. The property was insured. Reference to “extensive and expensive” thefts from the Boythorpe Colliery Co’s premises at Whitecotes Lane, Chesterfield was made by the firms Managing Director (Mr. J. W. Fidler) at a local inquiry on Tuesday. 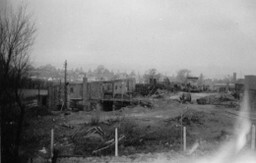 The inquiry was into an appeal by Mr. Watson, a night watchman at the premises, against the refusal of planning permission to convert the old colliery canteen at Whitecotes Lane, now disused, into a bungalow. Mr. Fidler told the inquiry that there had been a number of thefts from the premises. The latest, he said, on reply to a question by Mr. R. A. Kennedy (Deputy Town Clerk of Chesterfield), had involved 3 cwts of brass and 5 cwts. Of copper.“I called the police but told them I was going to stop reporting the thefts because they have never caught anyone.” he said. Mr. J. M. Warwick for the applicants said Mr. Watson lived in a caravan on the site. Mr. Fidler owned the land and the Company, until recently, worked a footrill there on a licence, which had now elapsed. But the Company still use the yard to buy, screen and sell coal. Mr. Watson’s wife was a telephonist for the firm. Planning consent, he went on, was only wanted for a limited period of five years and would entail no alteration to the structure of the canteen. The building could be converted for £150 to £200. Mr. Kennedy for the planning authority said that the proposal would prejudice the proper re-development of the area, which was zoned for residential purposes. It was not essential he contended, that the night watchman and his wife should live on the actual site. It was the planning authority’s case; he went on that now that the Company’s licence from the N.C.B. to work coal had lapsed the Company should clear the site up as quickly as possible. The access to the site is over torturous roads of very poor construction and there was a complete lack of amenities said Mr. Kennedy. Photographs taken in 1950's by Alec Jackson. Mine entrance to the right of the lamp cabin in centre of shot. 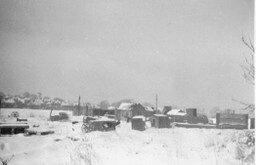 Small building to the extreme left is the weighbridge. Lorries went to bunker to right of window. I came across this excellent article on the colliery. I do not know the originator. So if the originator would make him/her self known to me I can either acknowledge them or remove the article. In 1887, following the difficult trading period of the 1880's the Boythorpe Company was wound up. 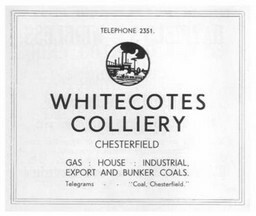 How long the coal in the Boythorpe area was not worked is uncertain but a new drift mine, Whitecotes Colliery was sunk early in the twentieth century. This was owned by the Boythorpe Co. Ltd. of which the Harrison family were the principal shareholders. The land on which the adit was sited was bought from Philip Hunloke and Frank Mower as Trustees to a fund to provide £40 annually for the maintenance of the Ashbourne divinity lecturer. 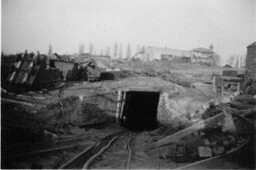 The mine was located behind what are now 171 to 185 Whitecotes Lane (roughly opposite the Walton Hospital car park), with an approach road running down the side of 171 and 185. 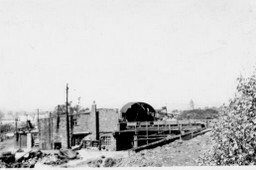 The workings were in the High Main and Piper seams producing coal for the domestic and industrial markets. In 1923 only 16 men were employed. This increased to 19 in 1929 and by 1936, 25 men were employed, divided between the surface and underground. By 1950 numbers had risen even further to 35 underground and 12 on the surface. Its early years had been marred by a damaging explosion underground on 22nd October 1904 but the problems caused were soon overcome. 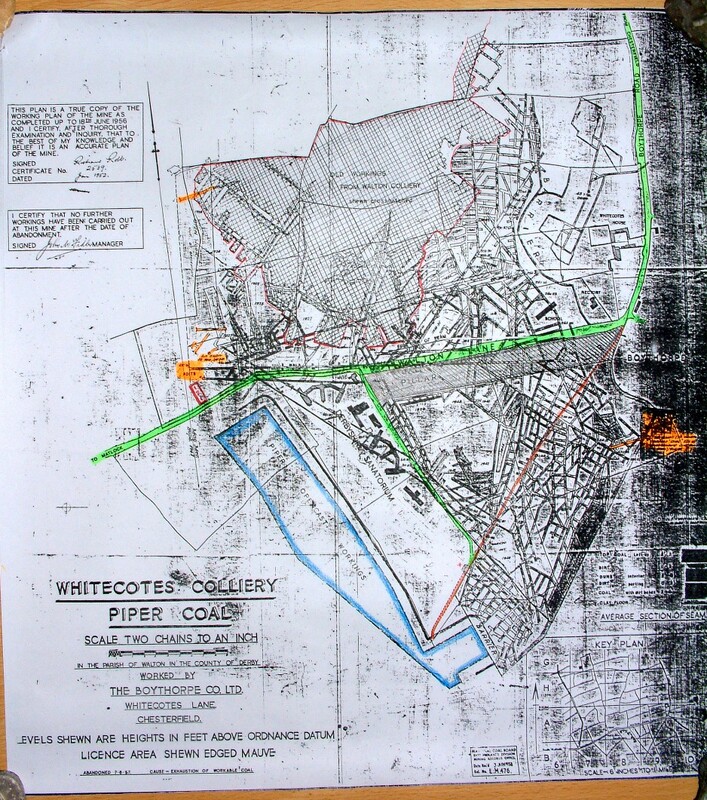 Workings were relatively shallow, but not so shallow as to justify the complaint by the miners in 1910 that they would have to work under the inhumations if the proposed extension to the cemetery between Walton Lane and Boythorpe Lane went ahead. But maybe their objection is what held up the opening of the extension until 1918. At the surface, in addition to the usual lamp room, stores and office grouped around the adit mouth, a canteen was provided during the second world war so that extra rations could be directed towards the colliers. The coal was passed through screens that were also used in the later years to blend in opencast coal brought in from near by sites. 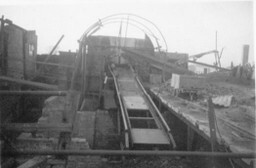 At nationalisation of the coal mines in 1947 the colliery did not pass to the Coal Board being exempt on account of its small output and restricted number of men, but by the 1950’s its economically workable reserves were running out and it was closed in 1958. The site was subsequently cleared, the adit sealed and the site leveled and built over.